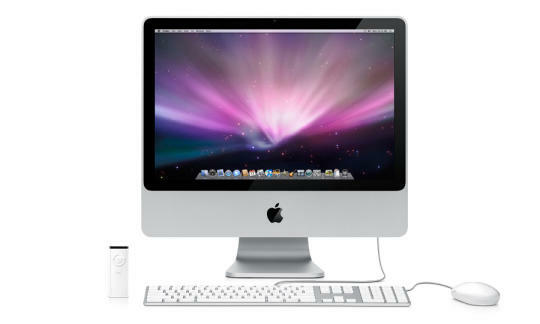 All the while most of web sites give out applications for Windows PC but few give out any Applications for Mac computers. I have identified a few must haves for Mac which I am listing below. Some are free while others are not, but believe me they will give you good value for money. Fantastical : You might already have it or may have already heard it from your friends using Mac. This $19.99 application from Flexibits is as fantastic as its name. This application is more than a PIM. It has a very flexible UI and easy to use processing language, which let you type in pertinent details and the application will populate the title, location, date and time fields. Over time you will notice that you cannot do with out, just like your mobile. You can get Fantastical here. No need to switch to a new calendar. And do not worry, Fantastical is compatible with iCal, Calendar, Entourage, Outlook, iCloud and Google Calendar. MainMenu Pro : This one is for tuning up your Mac. This application cleans yours machine's cache memory and browsing data, runs maintenance scripts at regular intervals and fixes outdated disk permission. You can get MainMenu here. It is available in two versions standard version for $6.99 and pro version is available for $9.99. This application from Incredible Bee can also help you locate files which are large, so you can move or delete them easily. The best part is that this application can override your mac default settings when your machine starts acting iffy. That includes restarting Wifi, Finder, Dock and Menu bar and force the trash to empty itself. Caffeine : This one is free and the best of all. A computer goes to sleep to save energy particularly when they are not in use. But if you your Mac up and running all the time, Caffeine is the answer. Developed by Lighthead it is available here. There may be many reasons why you may want to switch of your screensaver, auto dimming mode or sleep mode like presentation, watching movies and streaming video or music. It will also save you the blushes of logging on to PC every time you go to loo and typing your 9 to 10 digit alphanumeric code. In case you want to check the status of the application, click on the coffee mug icon, if its empty, your system is running normally. If it is full, that means the Caffeine is on. You can also set a timer in the app from 5 minutes to 5 hours to indefinitely. Definitely a must have. Thyme : This is a built in timer which will always be available in your menu bar. Be it keeping an eye on the oven, keeping tabs on your online work, or on your project, or just to remind you the time. This one is free and simple to use. You can get it here. iStat Menus : This one is a staticians delight. Bjano's iStat Menus is available for $16 and condenses information like CPU, memory, network, disk space, activity, hardware temperature, battery indicator among other things in your menu bar. It will provide you all the stats that you need of your computer. It has a very easy UI. One of the best thing it does is provide information of battery life. It will gauge your computers battery life including the number of cycles it has been through (remember more the number of cycles the closer the battery is to its end). It will also provide you information about your mice and other peripheral battery life. You can also set fan speed with this application. Hope you like this article. Please comment on the same so Skype has already launched its video calling service for Mac, read about it here.